Instant Polish meets Function. Etienne Deroeux Spring Summer 2016. 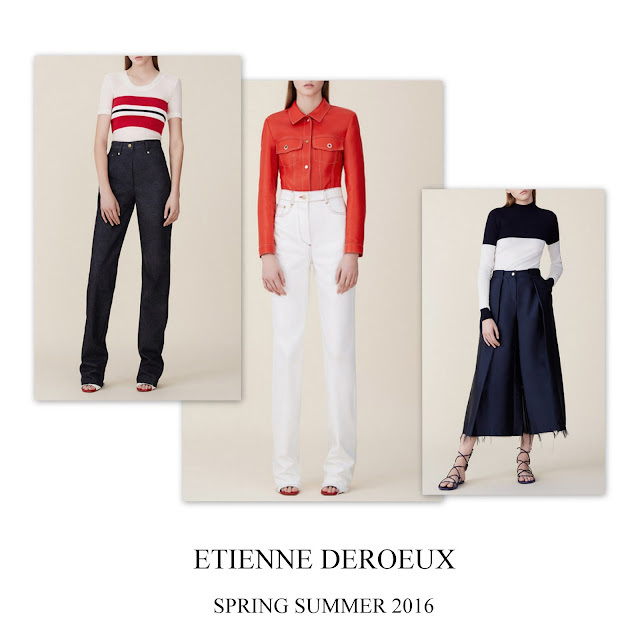 Launched in 2011, Etienne Deroeux is a Parisian label famous for its refined sportswear collection in clean architectural lines and volumes. It is quite an unusual combination but the result is so estagering, that it is impossible to say no to it. Each garment signed by this young designer commited to use only the finest natural textile (Etienne studied fashion at Antwerp Academy of Fine Arts and La Cambre School of Visual Arts in Brussels) has a luxurious and discreet feel and can stand as perfect foundations in the contemporary wardrobe.